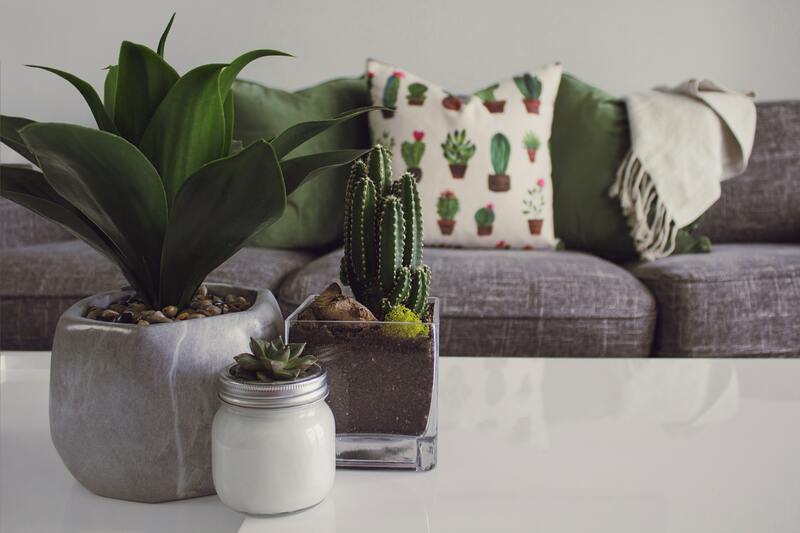 Spring may not be here yet but why not take the time indoors to spruce up your apartment? Let the new year be a time to refresh your space and get around to the cleaning that you have been putting off! Let’s start at the windows. We recommend using a homemade glass cleaner to let the sun shine through on these chilly winter days. Simply combine 2 cups of water, ½ tsp of liquid dish soup and ½ cup of vinegar in a spray bottle; your windows will be sparkling! Now that you have natural light filling your apartment, get to dusting. While dusting, be sure to toss out any clutter that you come across. Use your inner Marie Kondo from the new Netflix series, "Tidying Up". Take a play from Marie's playbook and ask yourself, does this item "spark joy", if not toss it! You will be shocked at how much better your apartment looks without that pile of junk mail on the coffee table. Once you have dusted, run the vacuum and mop up the floors. Now that your apartment is spick and span, you can have fun with some trendy décor ideas! You can add some fresh seasonal fun to your normal décor with brightly colored throw pillows and blankets, easy to find at HomeGoods, the new HomeSense or Target! Velvet fabrics, faux furs and anything cozy are all the rage right now! Snag a velvet throw pillow and a faux fur blanket, they will bring your living room from drab to fab. Trade your normal table centerpiece for a vase filled with fresh flowers; they will look and smell great! While you are at your favorite home décor store, look for a new painting to spruce up your living space, or better yet get some supplies and make one yourself. These are just a few ideas to brighten up your apartment during the winter, we would be happy to hear your ideas! Be sure to comment below. Happy cleaning and happy decorating! I really like reading through and I conceive this website got some really useful stuff on it! .